A recent report released by the State Department of Health has brought disturbing news regarding drug use in Maryland. According to the department, drug overdoses increased a considerable 15 percent from 2011 to 2012. The likely culprit for the increase in drug fatalities is the popularity and resulting pervasiveness of heroin in all areas of the state, from downtown Baltimore to the suburbs. We have blogged and posted web pages about the comeback of heroin, and these statistics simply offer more proof that the drug is enjoying a second coming, albeit a deadly one. 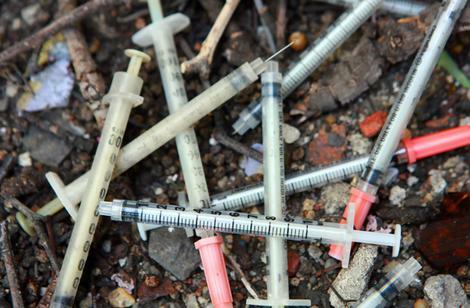 In 2011 the state reported 245 heroin related deaths, but last year this number ballooned to 378, while the total alcohol and drug related deaths rose from 663 to 761 from 2011 to 2012. Prince George’s County and Baltimore City were responsible for the jump, as most other areas of the state reported a similar number of drug fatalities in the last two years. Data from the Health Department proves that the total number of heroin related deaths in the past decade is inversely related to the number of prescription medication deaths. From 2007 to 2011 heroin overdoses declined at a rate of 36 percent, while prescription drug overdoses, from drugs such as oxycodone and methadone, rose 18 percent. But from 2011 to 2012 heroin overdoses rose 55 percent while prescription drug deaths decreased by 12 percent. Stricter regulations and increased awareness by law enforcement of these regulations has made it more difficult for would be users to obtain prescriptions for narcotic painkillers. In turn this has made it more expensive to buy these drugs illegally on the street. Now more than ever, doctors and pharmacies are frequently turning away new narcotic seeking patients under pressure from the state medical board and law enforcement. To many doctors and pharmacies, the business is simply not worth the potential hassle and legal consequences of providing addicts with their substance of choice. But as a direct result of the prescription drugs becoming scarce and expensive the dealers and users have gone back to heroin, which has exploded in popularity as it did back in the 90’s. The 55 percent increase in heroin deaths has certainly caught the attention of health officials, politicians, and law enforcement. The Health Department recently issued a public alert addressing this situation, and has urged all counties and Baltimore City to develop overdose response plans. A few counties have already scheduled town hall meetings to discuss prospective plans of action. Law enforcement officials will be in attendance, and Governor O’Malley is already scheduled to appear at one such meeting in Elkton later this summer. At this point there is no sign from the legislature that changes to the state drug laws will be modified, or that new laws to specifically target heroin will be introduced. But if the fatalities for this 100 plus year old drug continue to rise, it is highly possible that it will experience a similar witch hunt to that of crack cocaine back in the 80’s and 90’s. Although crack is merely a solid form of cocaine, harsh laws specifically controlling the rock like substance were added. These laws remain in effect today, and the penalties for possessing similar amounts of cocaine and crack still vary greatly. Benjamin Herbst is a drug possession lawyer, specializing in heroin, marijuana, and prescription pill defense. 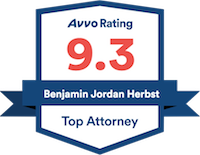 Contact Benjamin anytime at The Herbst Firm to set up a free consultation. Maryland Sees Increase in Drug Overdoses, washington.cbslocal.com.